I picked up a copy of Sisterland by Curtis Sittenfeld during my BEA Book Club speed dating session. It wasn’t pitched at my table but its cover caught my eye when I checked out the other offerings. After skimming the book jacket, I was intrigued by the idea of twin sisters who had ESP, extrasensory perception. Turns out Curtis Sittenfeld has a couple of best sellers under her belt: Prep and American Wife. But first let’s talk about Sisterland. At a young age, twin sisters Vi and Kate discover they have ESP, or “senses” as their family calls it. Kate spends most of her life suppressing her senses while Violet embraces her visions and eventually becomes a professional psychic. Kate, on the other hand, has tried to be as normal as possible: she’s become a stay at home mother of two young kids. After St. Louis is rocked by a small earthquake in the middle of the night, Vi has a premonition that St. Louis will soon be hit by a larger, more disastrous earthquake. While Vi welcomes the media storm that follows her premonition, Kate desperately tries to avoid anything that will upset her “normal” life. While the earthquake prediction is the catalyst for the novel, the relationship between the twin sisters is its main focus. The sisters and their family countdown to the big earthquake and flashbacks are interspersed throughout the novel. We learn why Kate refuses to accept her gifts, but is continually drawn back by her sister. As a work at home/stay at home mom myself, Sittenfeld’s portrayal of Kate’s stay at home mom life is spot on. The relationships between the characters are so realistic, I can see myself having the same conversations with my husband that Kate has with hers. Vi and Kate argue and make-up like most siblings do. Everything about the novel seemed perfect: the characters, their relationships, even the premise. Sisterland just fell flat for me. I kept waiting for something to happen. Even earthquake day felt anti-climatic. The entire novel was a huge plateau. Prior to reading it, I saw a lot of buzz for it but purposely avoided reading any reviews or blurbs so I could form my own opinion. The story lines felt measured and unemotional. I didn’t love or hate any of the characters. I wasn’t rooting for anyone. 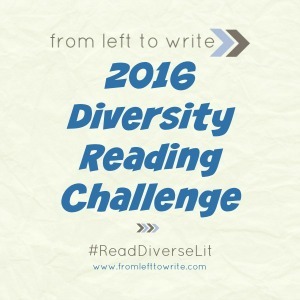 The only reason I read the novel in one sitting (and losing lots of sleep!) was because I kept hoping something would happen. Plus the last 50 or so pages. Oh, how one major event at the end bugged me. It’s a big spoiler so I won’t reveal it. This event came almost out of the blue for me. There was very little lead up to what happened, but it became a pivotal event in Kate’s life. It seemed to be sprinkled in enough to justify a plot twist. Sittenfeld lightly touches on race in St. Louis, but to me it seems more like an afterthought. Maybe it’s because there’s only one African American character in the novel and everyone else is white, as evidenced by the two white girls on the cover. Sittenfeld is coming to DC for an author Q&A, so I hope to make it. Maybe she’ll enlighten me about the choices she made in her novel. Did you read the novel? What did you think? 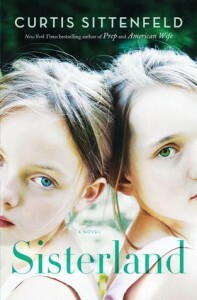 Sisterland by Curtis Sittenfeld will be released tomorrow, June 25. This post contains affiliate links. I know which review is which! Hoping to be enlightened tomorrow too.